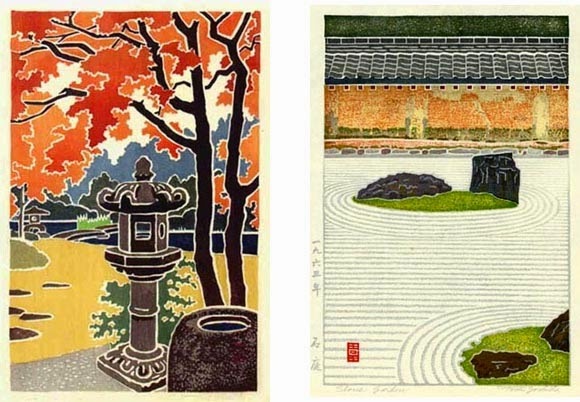 I just discovered that Toshi Yoshida, who wrote the book Japanese Printmaking that I reviewed in the last post, did a series of prints that he referred to as 'white line' prints in the 1960s. Although he was inspired by the Provincetown white line method, Toshi Yoshida's white line prints were actually multi-block facsimiles of Provincetown prints. 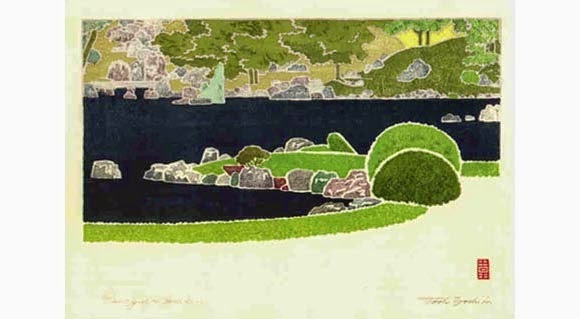 An article about Yoshida's white line series on the Hanga Gallery web site says "The traditional method of creating a white line print uses a single carved matrix block, which is hand-painted with multiple colors inside each of the outlined sections… Toshi's white line prints imitated the style of the earlier Provincetown prints, but they were printed using multiple blocks in large, unlimited editions." The web page from a 2013 show of Toshi Yoshida's white line prints at Worcester Art Museum (Massachusetts) explains that some of the white lines were actually embossed using un-inked keyblocks. Even though these aren't white line prints in the strict sense, I feel inspired by them in my pursuit of white line nirvana. 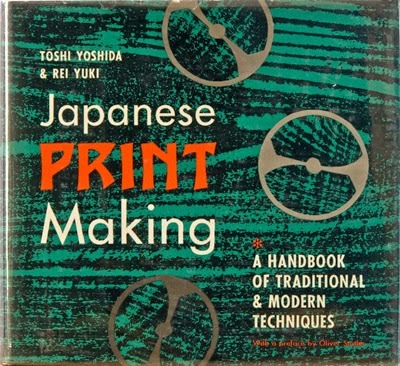 Japanese Print Making: A Handbook of Traditional and Modern Techniques by Toshi Yoshida and Rei Yuki; published by Tuttle Publishing, 1966. This wonderful book is out of print, but happily I just received a copy from my friend Paul Ritscher, a California based wood engraver, book maker, and letterpress printer. The link above connects to Amazon, where you'll find copies starting at about $125, or you can use WorldCat to search for a library copy near you. I recently spoke with someone from Tuttle Publishing about re-issuing this book (I told them I know where they can find quite a few buyers! ), but sadly they weren't interested. There are plenty of books in English about Japanese prints, especially ukiyo-e prints, but books in English about Japanese woodblock techniques are few and far between. This book comes from a period in the first decades after World War II when Japanese prints became so popular that even books about techniques could find a readership. I love it not only because it's full of descriptions of advanced techniques, but also because it contains contributions from some of my favorite 20th century Japanese printmakers: Umetaro Azechi, Un'ichi Hiratsuka, and Kiyoshi Saito. 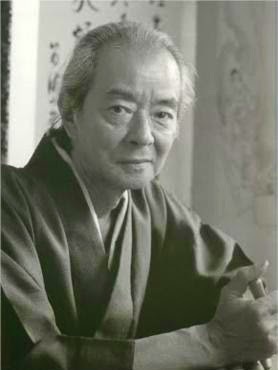 The book is divided into two sections, the first being an overview of ukiyo-e techniques and the second detailing 20th century developments. 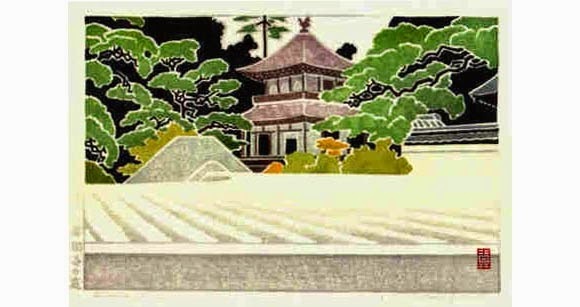 The ukiyo-e section, while it covers some material that is easily found elsewhere, is not a historical survey but a step-by-step description of how a Japanese woodblock print is made, from getting the design onto the blocks to carving and care of tools to all the details of printing, including discussion of pigments, brushes, the traditional baren, and basic techniques like bokashi. Part two, "Modern Prints," begins with a brief history of the modern print movement in Japan and color plate illustrations of a dozen or so practitioners. 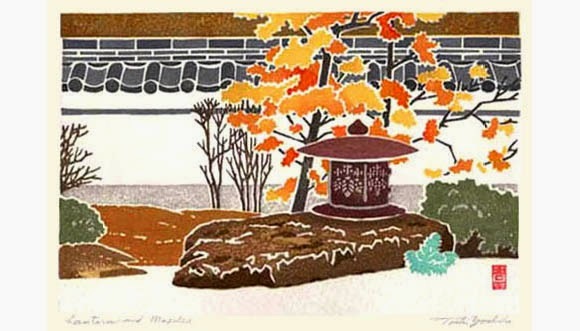 The rest of the book discusses the various ways that these artists expanded the materials and techniques of Japanese woodblock printing, with discussions of various woods, pigment types, and papers followed by well-illustrated examples of artistic effects and techniques. These are too numerous to recount, but they include printed wood grain effects, baren effects, effects caused by different paper absorption, and various overprinting techniques. 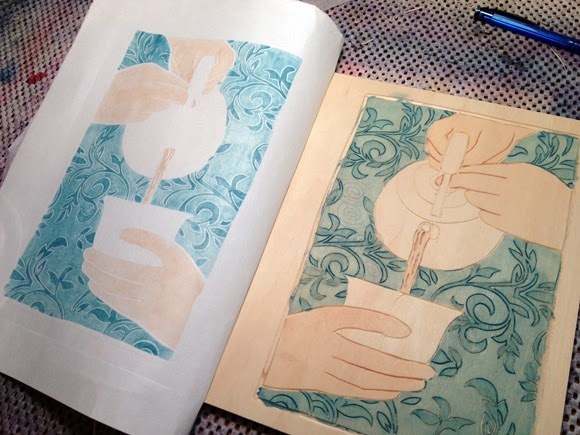 If you're an artist working with moku hanga, this section of the book is a treasure trove of information that could transform your practice (as I'm hoping it will transform mine). The last chapter in this section is a fascinating account by each of the artists whose work is illustrated in the color plates, detailing how they employed the various techniques in the book. There's an appendix at the end with a chart called "Guide to the Beginner" which is presented as a kind of curriculum for learning moku hanga. I was amused to see that the very last entry in the chart is "changing of the ategawa," which means "baren re-covering," a task I've yet to master. 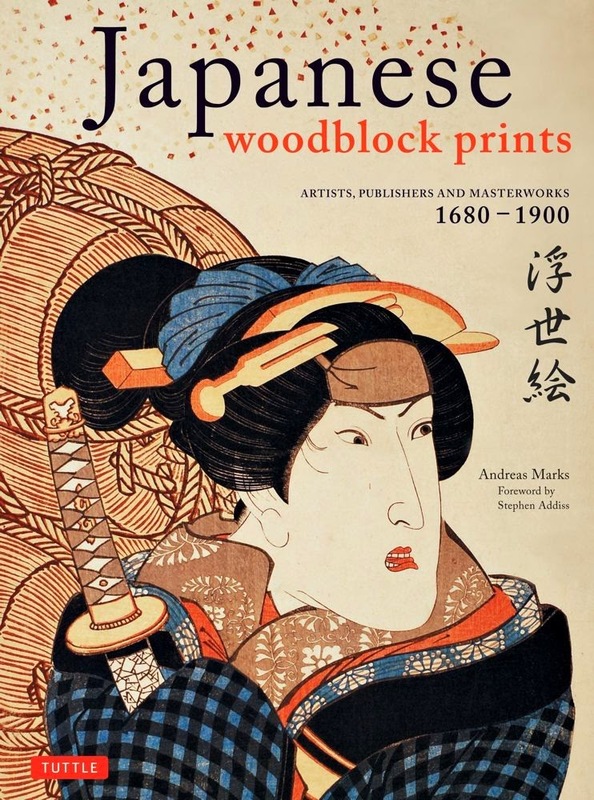 If you've done any research on Japanese woodblock prints, especially 20th century prints, you've probably come across titles from Tuttle Publishing. Tuttle was established in 1948 by Charles E. Tuttle, who served under General MacArthur’s post-war staff in Japan with the primary mission of reviving the Japanese Publishing Industry, and the company's reputation has always hinged on its specialty in books rooted in Asian culture, language, and history. It happens that two Tuttle books have come into my possession this past month, one new and one older, so I thought I'd use the next few blog posts to do a short series of book reviews. This book, Japanese Woodblock Prints, is a relatively new book from Tuttle, published in 2012, and is a broad overview of woodblock artists and publishers in Edo (Tokyo) between 1680 and 1900. I should say up front that as a maker of woodblock prints rather than a collector of them, my knowledge of classical ukiyo-e prints is woefully lacking, and my own preferences in Japanese art lean toward the so-called sosaku (creative) prints of the mid 20th century. I would not recommend this book for people who are already deeply involved in collecting or studying ukiyo-e prints, but for someone at my level the book is highly informative. It would also be very useful for a beginning collector who wanted help identifying ukiyo-e prints. Like most art books, Japanese Woodblock Prints is lavishly illustrated with over 500 prints reproduced on high quality semi-gloss paper, but the distinctive thing about this book is the way it's structured. After an informative and well-researched introduction to the culture of Edo woodblock printmaking, the book is divided into two sections: Artists and Publishers. The Artists section contains chronologically ordered biographies of fifty of the most famous print designers with representative examples of their work, followed by a Publishers section that offers the histories of 49 different Edo publishers, a unique focus in this genre. This focus on publishers means the book can be a valuable guide for print identification, although it would have added to the book’s value to have printed enlargements of the publishers’ marks and seals. I appreciated seeing the artists' work presented in chronological order, as it’s interesting to see developments in both technique and style over the years, but the Publishers section could just as well have been presented alphabetically as chronologically for easier reference. Unfortunately, the illustration captions are perfunctory (date, title, size, source). I would have appreciated some explanation from the author about how and why he selected the prints he chose, and although there’s some general information about woodblock techniques in the introduction—tan-e (orange and black designs) and urushi-e (lacquer prints) are mentioned—as a printmaker I would have enjoyed more in-depth information about techniques used by individual artists. Technique identification can also aid in dating a print, which again would have enhanced the value of the book. But overall this is a beautiful book, and the publisher section makes it stand out. Next post I’ll take a look at an older Tuttle book that’s chock full of Japanese woodblock techniques. I tried another version using some Masa paper I had around. I found the Masa much less receptive to the pigments than the Echizen Kozo. The surface of Masa is 'harder' and the paper a bit thinner. It slipped around a little and I felt that it didn't absorb the paints as well. I think this method likes a thicker softer paper. So here are the pros and cons for me about white line printing. - It's a fast process. It's ideal for one-off images and would be great for client work. - Nice emphasis on linework, and much easier to do this kind of linework than black (relief) lines. - Even more low tech than moku hanga since you can print with a spoon or doorknob or other common object. - You print with dry paper, so it's way less fussy than moku hanga, where you have to always be aware of moisture levels. - Room to experiment more since the prints aren't editioned. 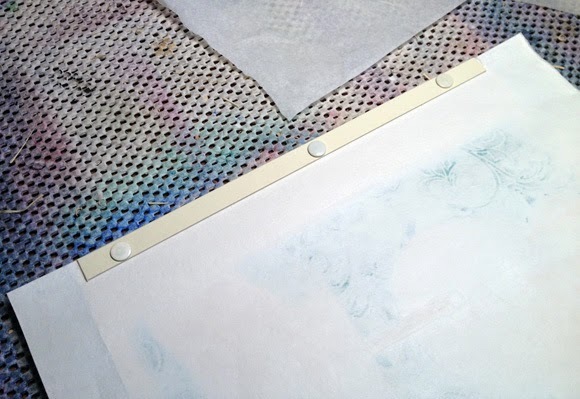 - You have to work quickly and/or in small areas or else the paint dries before you can transfer it to the paper. - No editioning, an issue if you like multiples. - The lines are white. I know, duh. But white lines have a certain look — light, airy and sort of happy — that I find disconcerting. It's funny to consider "light, airy and sort of happy" a drawback. "What's wrong with happy?" Lynn asked me when I said that. (Let it be noted that when the Sunday NY Times arrives, Lynn goes directly to the Style Section to look at wedding announcements, while I grab the front page for world news and the Obituaries.) But it's a good question she asks, what's wrong with happy, and this concern about happy certainly says more about me than about white line printmaking. I guess, given that my topics are so often socio-political in nature, I like some gravitas in the look of my prints. I went looking for some white line prints that aren't quite so happy looking and then I remembered Edvard Munch. Munch didn't make white line prints, but he developed a ‘jig-saw’ cut woodcut in which he cut out shapes from a wood block, inked each part separately and then put them back together for printing. 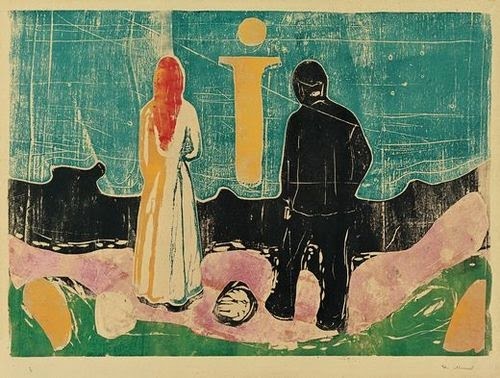 As in the Provincetown white line method, Munch's jigsaw method eliminated the need for a complex registration system while permitting the use of multiple colors, and as in the white line method it left a white line around the cut pieces as in the print below. Nobody can say Munch's prints look light and happy. It's quite possible that my issues with the white lines are really just issues about trying a new thing and not being confident yet. Flexibility is not my strongest character trait, so what I know is that I need some time to keep experimenting with the white line method before I make any pronouncements about whether or not I like it. Next on the agenda: a landscape in white line. Today I've started the printing. Whoa! It's easy. It's fun. I could get used to this. I've read of some people using tape to secure the print to the block, others using thumb tacks or push pins, and still others using some sort of jig. Sometimes white line printers attach the paper to the back side of the block and wrap it around to the front, some artists attach the paper to the side edge and fold it around to the front. I opted for thumb tacks on the front so there would only be the crease in the paper caused by folding it back for inking. I also cut a thin piece of mat board on the assumption that I would use fewer tacks that way. (This image is about 6" x 9".) Because I'm right handed, I attached the paper to the left side. Then I mixed up some tubed watercolor and started painting the block, one small section at a time. I started with the background just because that's what I was drawn to first. (I don't think it matters where you start, but it might.) I'm using Echizen Kozo because it's a paper I know and trust and I wanted to give myself a head start. I'll test some other papers in prints to come. I tried using both a spoon and a bone folder to print. I like the bone folder because it feels better in my hand, but both do the job. I should note that I'm printing on dry paper. I worked in sections using standard watercolor brushes to apply the watered-down paint. This background was printed in four sections with a 1/4 inch brush, then I went back and darkened the floral areas a little bit at a time with a small brush. I did the hands one at a time, though they're too light and I'll be going back in to define them more. More to come in the next post. 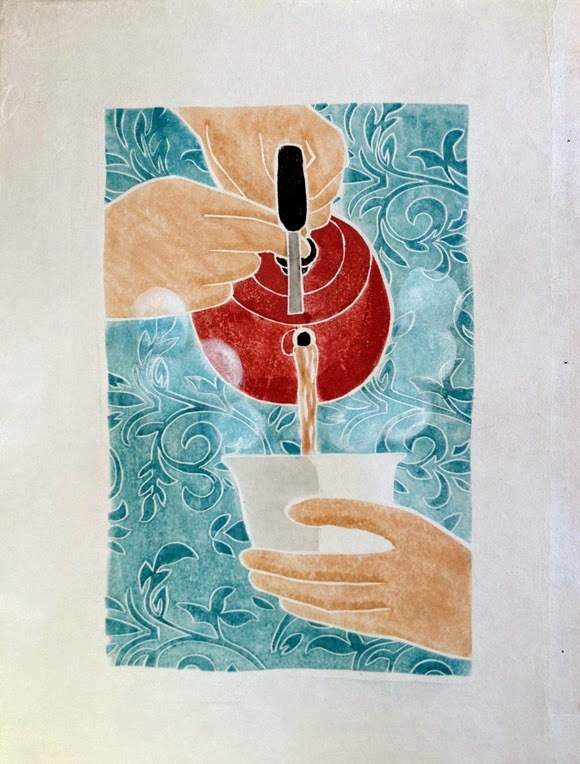 I've written about white line printmaking on this blog a few times and have done some partial white line in some of my moku hanga prints, but I've never done a real Provincetown style white line print myself. Until this weekend, that is. Unlike the multi-block polychrome woodblock prints you see in my blog, a white line print is a polychrome print made with a single block. 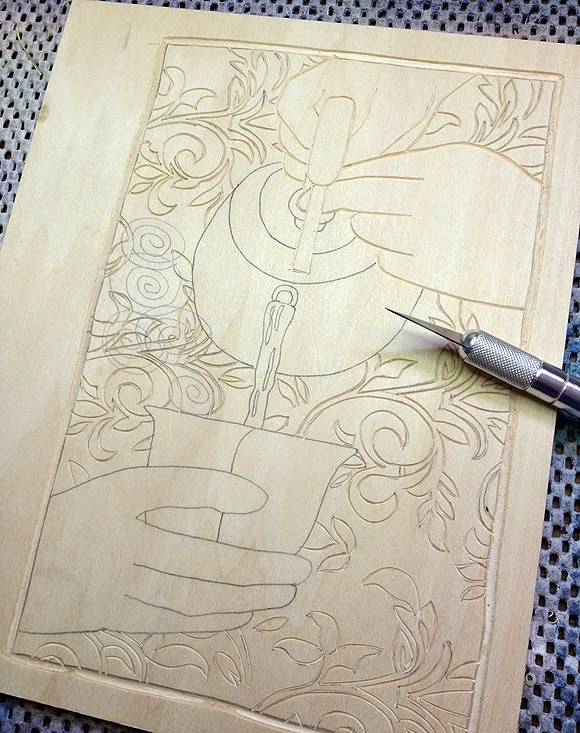 The outlines of the drawing are v-grooves carved with a knife, v-gouge or narrow chisel and then watercolors are carefully applied to each area one by one and printed. It's a little bit like coloring in a coloring book, except the lines end up white, not black. The method was developed in Provincetown, Massachusetts, during the early 20th century and is best exemplified by the artist Blanche Lazzell. Basically, a white line print is a monoprint; that is, it's a one-of-a-kind print rather than a print made in an edition. (Although you can make as many prints as you want from a white line block, each print will be different by nature of the process.) The white line print has a painterly quality, but the line drawing remains a strong element in the design. It was originally a digital illustration I did back in 2004, and in 2005 I used the drawing to make one of my first moku hanga woodblock prints. You can see it here. I called it The Power of Tea. Anyway, I thought it would be interesting to do the design again as my first ever white line print. The photo above shows the carving in progress. I used a v-gouge to cut the floral lines in the background and a knife to cut the foreground elements. The v-gouge gives a thin and consistent line, while the knife can make a more variable line of any width. Right away there's a huge difference between carving multiple blocks as one does in moku hanga and carving just the lines on a single block. Where the multiple blocks might have taken a couple of days to complete, this block took me just a couple of hours. Tomorrow I'll show you the printing. Hello friends. 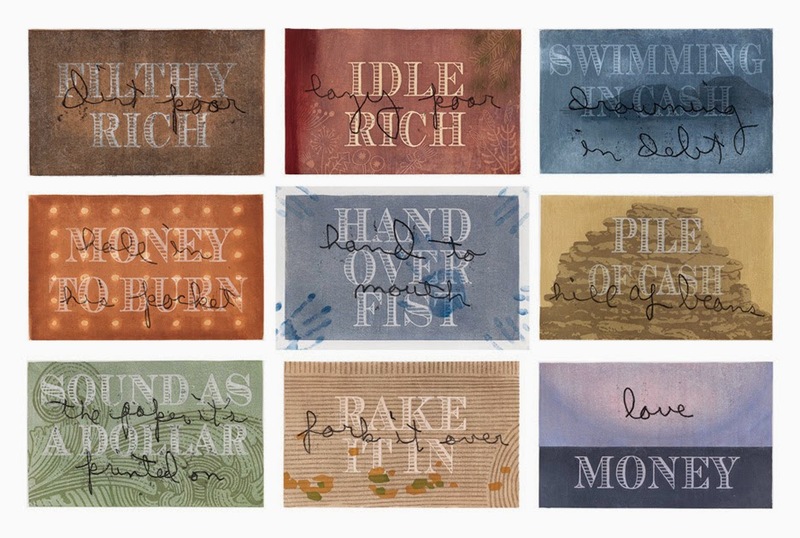 As you may know, nine of my prints, a collection called "Mixed Feelings," were selected for exhibition in the International Print Biennale in Newcastle in the UK. The prints are on view now at Northern Print. As part of the awards, ten of the 37 exhibiting artists were selected to compete in a Public Vote on Facebook. If you're on Facebook and would be willing to cast a vote for me, simply 'like' the image AT THIS LINK on the Northern Print Facebook page. The artist with the most likes will win an editorial feature in the UK's most prestigious print magazine, Printmaking Today, a fine and potentially career-changing prize.